I found this recipe from a magazine, and I tried it for Valentine's Day. It turned out quite well...my daughters loved it. 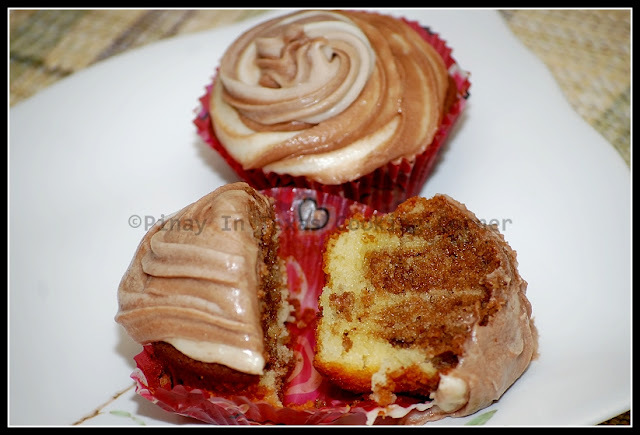 But I think it's not as good as other marble cupcakes I've tasted. I don't know what's lacking. I'll share it with you and if you have suggestions on how I can improve this recipe, let me know. 2. Lightly grease and line muffin pan with paper cupcake liners. 4. 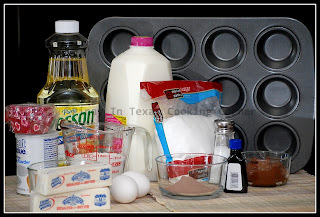 In a large bowl, whisk together sugar, eggs, vegetable oil, milk, butter and vanilla extract. Pour in dry ingredients and stir until just combined. 5. Transfer 1¼ cup of the batter to a small bowl and stir in melted chocolate. 6. Evenly distribute batters into prepared pans, adding a spoonful of vanilla batter then a spoonful of chocolate batter, followed by a little more vanilla. Gently run a knife through the batter to give them a swirl. 7. Bake for about 15 minutes or until a toothpick inserted into the center comes out clean. 8. 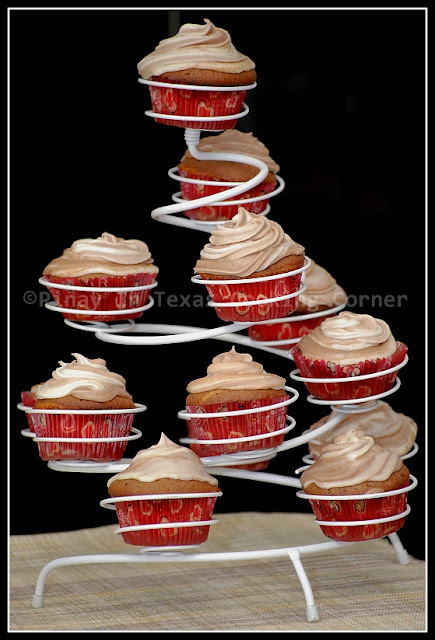 Cool cupcakes on a wire rack before frosting. 1. In a large bowl, beat together butter, milk and vanilla. 2. Gradually blend in about 2 cups confectioners sugar until smooth, then divide frosting evenly into two bowls. 3. Blend 2 Tbsp cocoa powder into one portion of the frosting and beat until smooth. Add additional confectioners sugar to each bowl as needed, until frosting reaches a thick, spreadable consistency. 4. Pipe or spread frosting onto cooled cupcakes.